Wow!?!?! 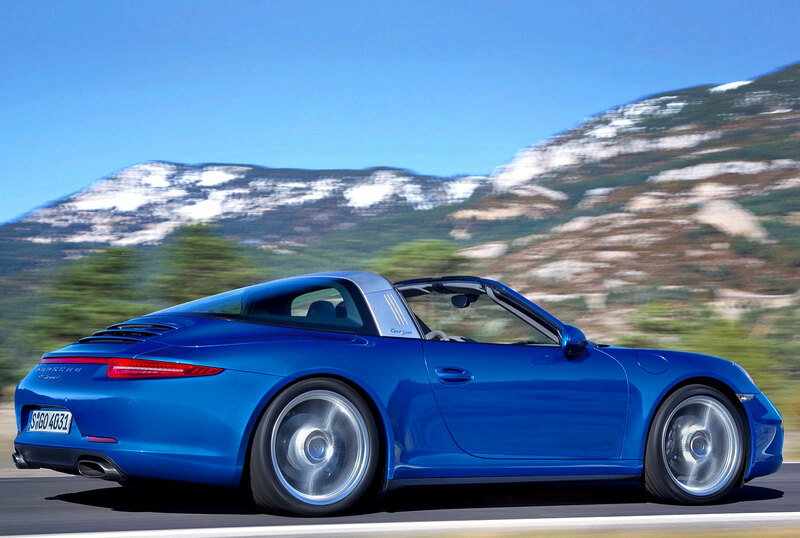 Talk about retro-coolness, Porsche just brought back the original iconic Porsche 911 Targa, and it is not only an amazing design, but technically incredible and an instant classic. 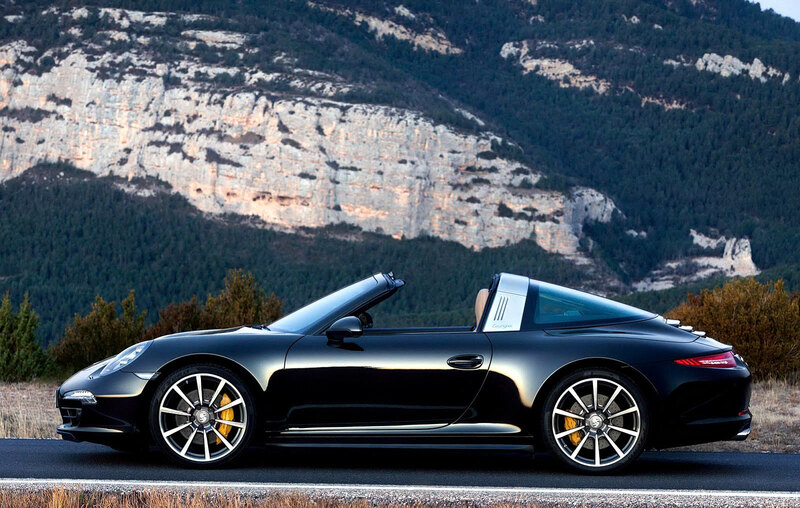 Porsche introduced the all new 911 Targa today at the Detroit Motor Show. 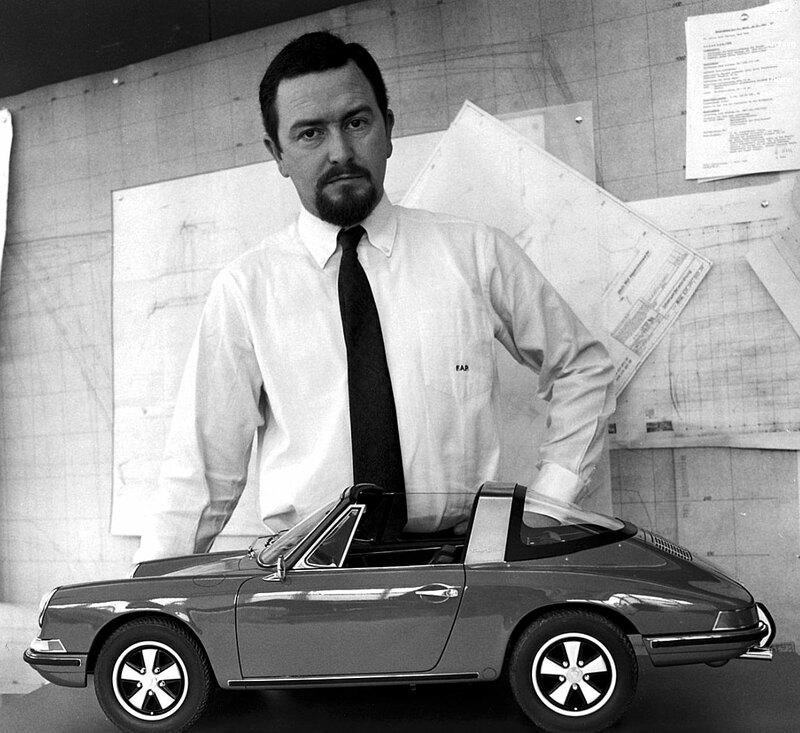 F. A. Porsche is pictured below in front of his 1968 Porsche 911 S Targa model, which is a scaled model. F.A. 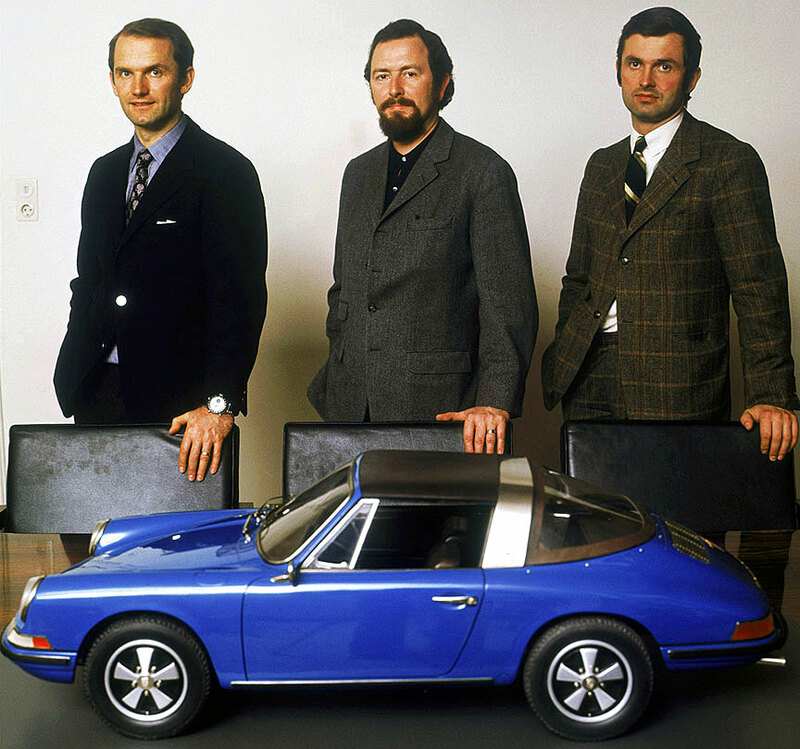 Porsche is pictured below (center) with a scale model of the 1969 Porsche 911 Targa S.
Just to put things in perspective, I thought I would post some images of vintage Porsche 911 Targa ads. 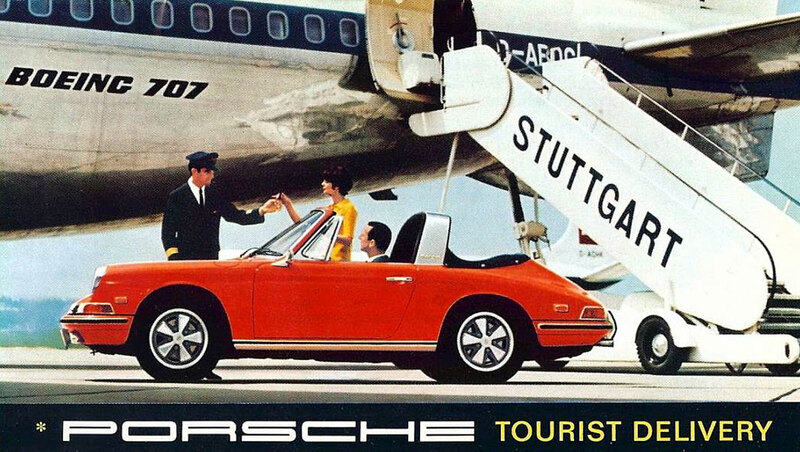 This first one is from 1968, and shows the Porsche 911 Targa with the convertible clear plastic rear window, which could be let down. 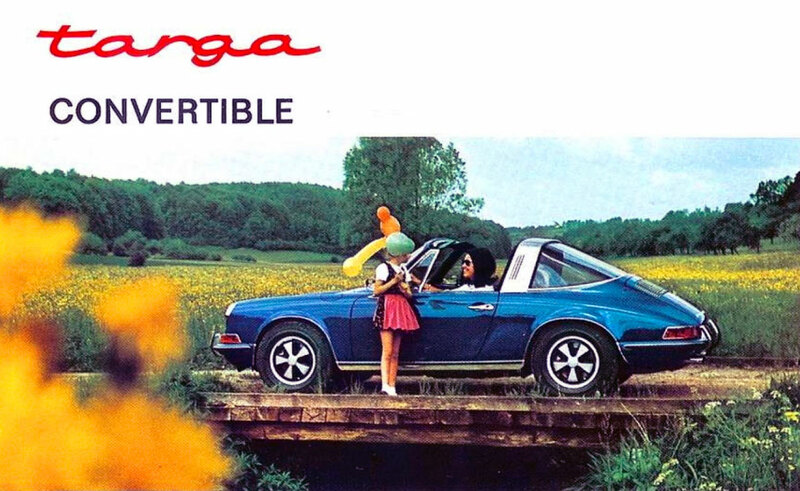 Obviously the original design intent of the Porsche Targa was to offer a safer alternative to a standard cabriolet convertible soft-top, since the Targa has the built-in roll bar. 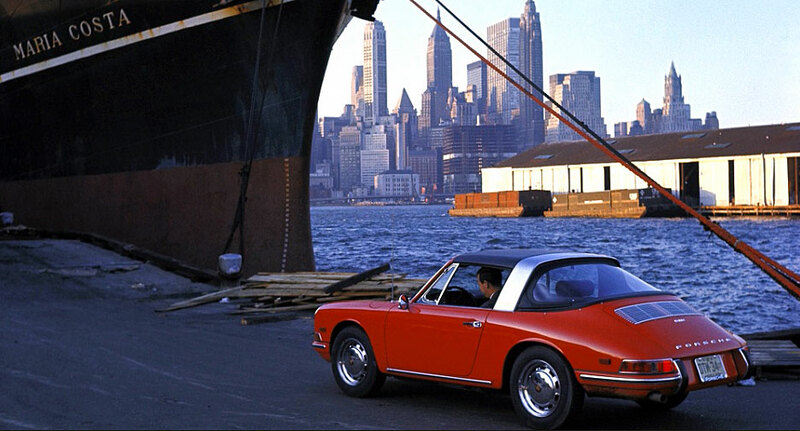 Porsche launched the original 911 Targa in 1965. The next photo below shows a 1969 Porsche 911 Targa with the convertible clear plastic window in the lowered position, as apposed to the photo above where it is in the up closed position. 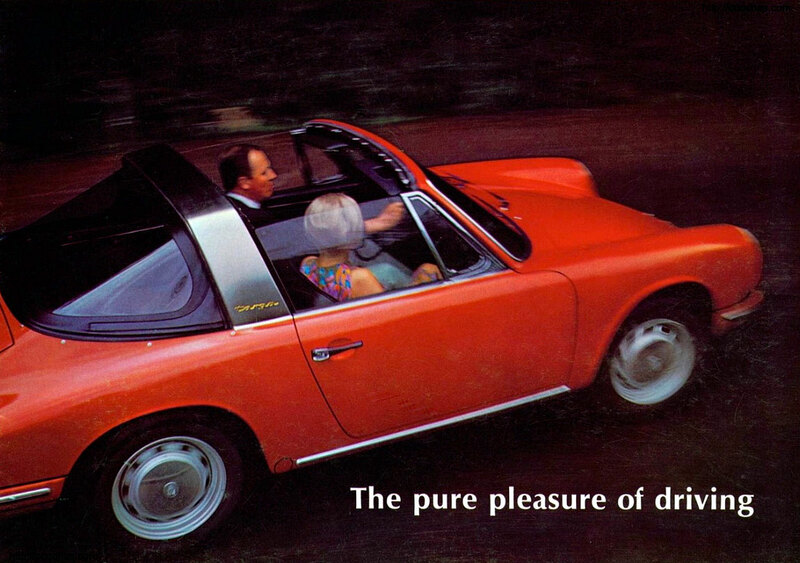 The image below shows a 1969 Porsche 911 Targa with the fixed glass rear window. 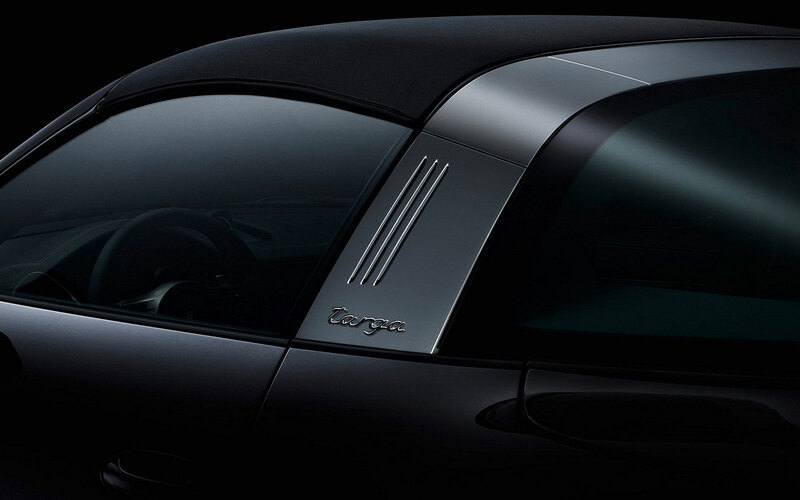 It strikes me that Porsche decided to eliminate the soft plastic rear window since it probably did not make that much of a difference, and of course glass is more durable and has better rear visibility. 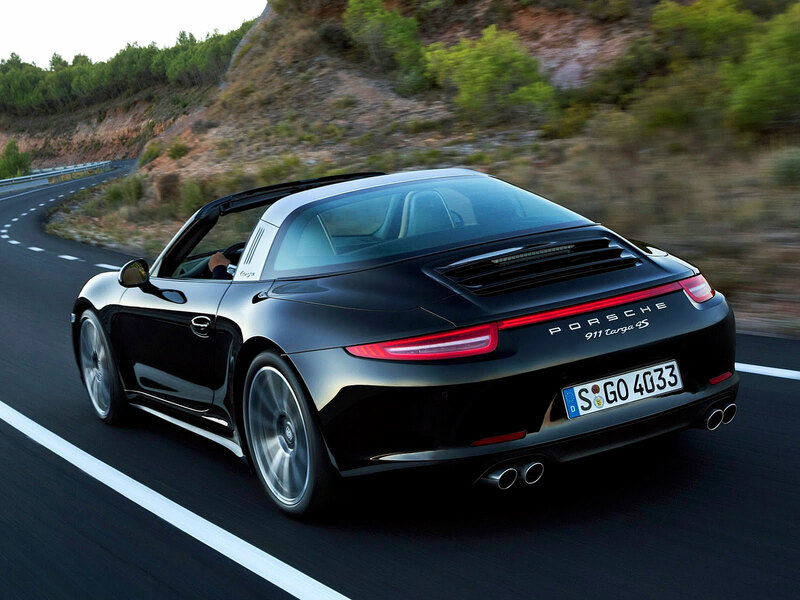 The next image shows a Porsche 911 Carrera Targa, which I believe was introduced in 1975, and it has a much more modern look as witnessed by the updated bumpers. 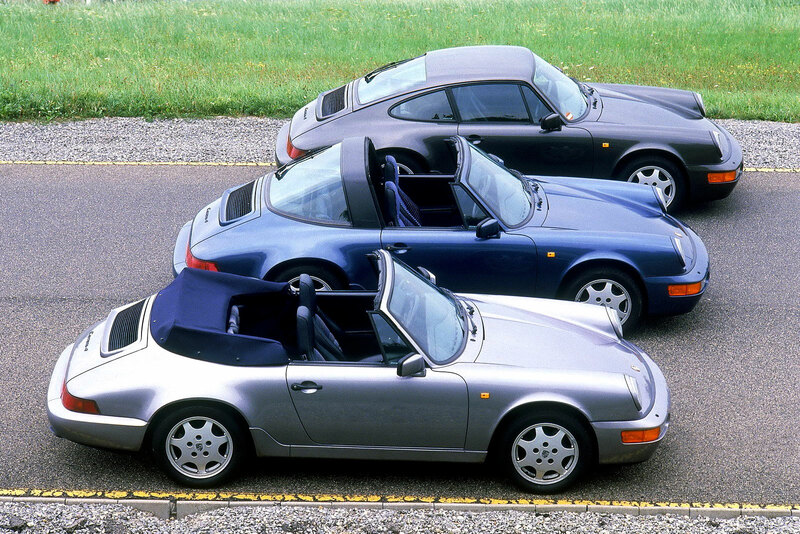 The photo below shows the standard Porsche 911 in a hardtop, Targa, and convertible. 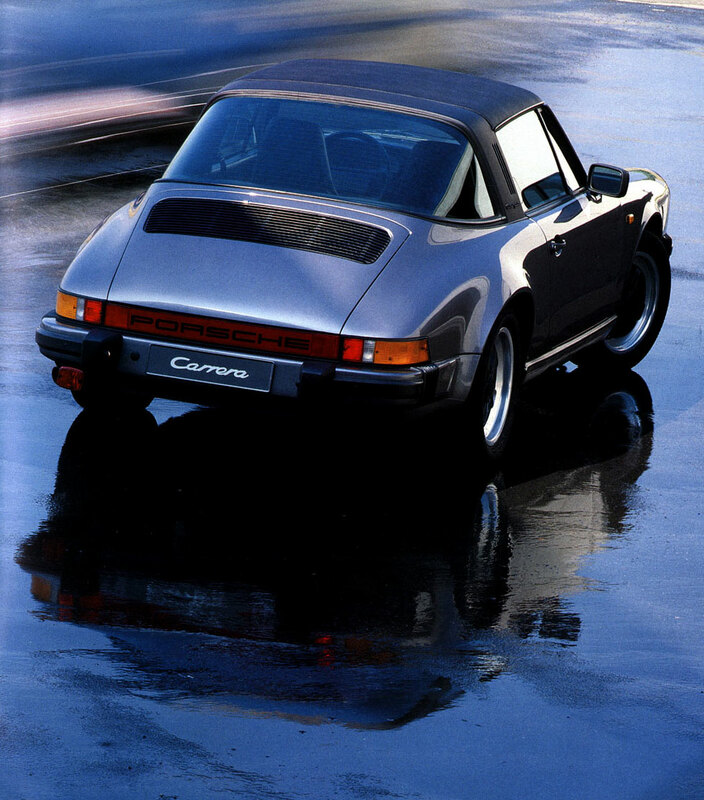 I believe Porsche made the first convertible 911 in 1983, and eventually in the 1990s discontinued the 911 Targa.